The Publication Ethics and Publication Malpractice Statement of the peer-reviewed multilingual journal Stephanos are based on the sections of copyright, plagiarism, and ethical standards of the Russian publishing law and the Committee on Publication Ethics (COPE) Code of Conduct guidelines (available at www.publicationethics.org ), and the editorial board assumes responsibility for the articles published. 1. The peer-reviewed multilingual journal Stephanos aims to disseminate new results and methods of scientific research among practicing researchers as well as PhD and college students in Russia and abroad and focuses on research into philology, linguistics, history of arts, cultural and cross-cultural studies. 2. 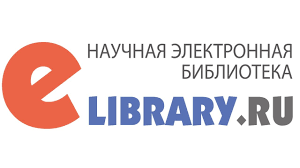 Authors can publish in Russian, English, German, French, Italian, Spanish, Serbian, Croatian, Macedonian, Polish, Czech, Ukrainian, Belorussian, Bulgarian, or Slovenian. They may choose whether to present their material in their native tongue or in translation. This helps readers to see what researchers find and how they report it, which may come in handy for readers as publishing norms vary from country to country. 3. The journal publishes papers discussing fundamental and current issues, with a prime focus on contemporary literatures and cultures, new trends in Arts through historical and sociocultural contexts. 4. The journal accepts only original, unpublished scientific work with correct referencing. The exception is the section “From the History of the School of Philology” which displays the earlier published articles with proper referencing of original authors and sources. 5. The publishing policy of the journal is to spark a fruitful discussion among the reputable scholars – members of the international publishing council and editorial board of the journal. 6. The publisher adheres to the principles of transparency, making public requirements of publishing a scholarly article, guidelines for the peer-reviewing process, members of the international publishing council and editorial board of the journal. Also, users have unlimited access to the archives of Stephanos. 7. The journal is published six times a year. 1.1. Fair play – The Editor, meaning any member of the editorial board, should evaluate papers for their intellectual content without regard to the age, race, gender, religious belief, ethnic origin, citizenship, or political philosophy of the author. 1.2. Confidentiality – The Editor must not disclose any information about a submitted paper to anyone other than the corresponding author, reviewers, potential reviewers, other editorial advisers, and the publisher, as appropriate. 1.3. Disclosures – Unpublished materials disclosed in a submitted paper must not be used in an editor’s own research without a written consent of the author. Privileged information or ideas obtained through peer review must be kept confidential and not used for personal advantage. 1.4. Conflicts of interest – The Editor should recuse him/herself from considering papers in which they have a conflict of interest resulting from competitive, collaborative, or other relationships or connections with any of the authors, companies, or (possibly) institutions connected to the papers. 1.5. Vigilance over published record – The Editor having been presented with convincing evidence that the substance or conclusions of a published paper are erroneous should coordinate with the publisher (and/or society) a prompt publication of a correction, retraction, expression of concern, or other note, as may be relevant. 1.6. Involvement and cooperation in investigations – The Editor along with The Publisher should take reasonably responsive measures when ethical complaints have been presented concerning a submitted or published paper. Such measures will generally include contacting the author of the paper and giving due consideration of the respective complaint or claims made, but may also include further communications to the relevant institutions and research bodies. 2.1. Contribution to Editorial Decisions – Peer review assists The Editor in making editorial decisions and through editorial communications with the author may also assist the author in improving the paper. Peer review is an essential component of formal scholarly communication, and lies at the heart of the scientific method. The Publisher shares the view of many that all scholars who wish to contribute to publications have an obligation to do a fair share of reviewing. 2.2. Promptness – Any selected referee who feels unqualified to review the research reported in a paper or knows that its prompt review will be impossible should notify The Editor of “Stephanos” and excuse him/herself from the review process. 2.3. Confidentiality – Any papers received for review must be treated as confidential documents. They must not be shown to or discussed with others except as authorised by The Editor. 2.4. Standard and objectivity – Reviews should be conducted objectively. Personal criticism of the author is inappropriate. Referees should express their views clearly with supporting arguments. 2.5. Acknowledgement of Sources – Reviewers should identify relevant published work that has not been cited by the author. Any statement that an observation, derivation, or argument had been previously reported should be accompanied by a relevant citation. The Reviewer should also call to The Editor’s attention any substantial similarity or overlap between the paper under consideration and any other published paper of which they have personal knowledge. 2.6. Disclosure – Unpublished materials disclosed in a submitted paper must not be used in a reviewer’s own research without a written consent of the author. Privileged information or ideas obtained through peer review must be kept confidential and not used for personal advantage. 2.7. Conflict of Interest – The Reviewer should not consider manuscripts in which they have conflicts of interest resulting from competitive, collaborative, or other relationships or connections with any of the authors, companies, or institutions associated with the paper. 3.1. Reporting standards – The Author of original research should present an accurate account of the work performed as well as an objective discussion of its significance. Underlying data should be presented accurately in the paper. A paper should contain sufficient details and references to permit others to replicate the work. Fraudulent or knowingly inaccurate statements constitute unethical behaviour and are unacceptable. 3.2. Data Access and Retention – The Author may be asked to provide the raw data in connection with a paper for editorial review, and should be prepared to provide public access to such data (consistent with the ALPSP-STM Statement on Data and Databases), if practicable, and should in any event be prepared to retain such data for a reasonable time after publication. 3.3. Originality – The Author should ensure that they have written entirely original works, and if The Author has used the work and/or words of others, this has been appropriately cited or quoted. 3.4. Plagiarism – Plagiarism takes many forms, from ‘passing off’ someone else’s paper as The Author’s own paper, to copying or paraphrasing substantial parts of another author’s paper (without attribution), to claiming results from research conducted by others. Plagiarism in all its forms constitutes unethical publishing behaviour and is unacceptable. 3.5 Multiple, Redundant or Concurrent Publication – The Author should not in general publish papers describing essentially the same research in more than one journal of primary publication. Submitting the same paper to more than one journal concurrently constitutes unethical publishing behaviour and is unacceptable. In general, The Author should not submit for consideration a previously published paper in another journal. 3.6 Publication of some kinds of articles (eg, guidelines, programmes, translations) in more than one journal is sometimes justifiable, provided certain conditions are met. The Author and The Editor of the journals concerned must agree to the secondary publication, which must reflect the same data and interpretation of the primary document. The primary reference must be cited in a secondary publication. 3.7. Acknowledgement of Sources – Proper acknowledgment of the work of others must always be given. The Author should cite publications that have been influential in determining the nature of the reported work. Information obtained privately, as in conversation, correspondence, or discussion with third parties, must not be used or reported without explicit, written permission from the source. Information obtained in the course of confidential services, such as refereeing papers or grant applications, must not be used without explicit written permission of The Author of the work involved in these services. 3.8 Authorship of the Paper – Authorship should be limited to those authors who have made a significant contribution to the conception, design, execution, or interpretation of the reported study. All those who have made significant contributions should be listed as co-authors. Where there are others who have participated in certain substantive aspects of the research, they should be acknowledged or listed as contributors. 3.9 Co-authors – The corresponding author should ensure that all appropriate co-authors and no inappropriate co-authors are included in the paper, and that all co-authors have seen and approved the final version of the paper and have agreed to its submission for publication. 3.10. Disclosure – All authors should disclose in their papers any financial or other substantive conflict of interest that might be construed to influence the results or interpretation of their manuscript. All sources of financial support for the project should be disclosed. 3.11. Conflicts of Interest – Examples of potential conflicts of interest which should be disclosed include employment, consultancies, stock ownership, honoraria, paid expert testimony, patent applications/registrations, and grants or other funding. Potential conflicts of interest should be disclosed at the earliest possible stage. 3.12. Fundamental errors in published works – When The Author discovers a significant error or inaccuracy in a published work, it is The Author’s obligation to promptly notify The Editor of Stephanos and cooperate with The Publisher to retract or correct the paper. If The Editor or The Publisher learns from a third party that a published work contains a significant error, it is the obligation of The Author to promptly retract or correct the paper. 4.1. The Publisher should adopt policies and procedures that support editors, reviewers and authors of Stephanos in performing their ethical duties under these ethics guidelines. The Publisher should ensure that the potential for advertising or reprint revenue has no impact or influence on editorial decisions. 4.2. The Publisher should support Stephanos’ editors in the review of complaints raised concerning ethical issues and help communications with other journals and/or publishers where this is useful to editors.